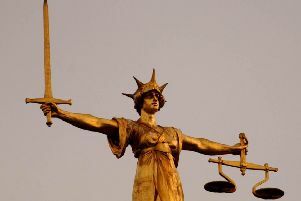 A landlord has been prosecuted after failing to maintain his property. Hastings Borough Council successfully brought its case against James De Courcy, of Rye Lodge, Hilders Cliff, Rye for failing to maintain his tenanted property in Cornwallis Terrace. Mr De Courcy was found guilty of eight out of 10 breaches brought, which included failure to maintain the fire alarm system, failure to maintain emergency lighting, and multiple failures to keep the common parts in good order, in respect of his property. Cllr Andy Batsford, the council’s lead member for housing, said: “These prosecutions are an excellent result and we hope that they act as a warning to those landlords and property managers who compromise the wellbeing and safety of their tenants. “We know that good landlords will agree that everyone has a right to a decent safe home and we have a duty to protect tenants from landlords that fall well short of the standards we expect so we will continue to seek out unlicensed properties and prosecute owners who breach legislation requirements. The case was heard at Hastings Magistrates’ Court and magistrates fined Mr De Courcy a total of £2,000. They also ordered him to pay costs of £2,081.